Premarital agreement: A premarital agreement is an agreement made prior to marriage in which the prospective spouses agree to various matters concerning the marriage, including the characterization of property brought into and acquired during the marriage. To be enforceable, a premarital agreement must be in writing, signed by the parties, and entered into voluntarily. After marriage, a premarital agreement may be amended or revoked only by a written agreement signed by the parties. Postnuptial agreement: A postnuptial agreement is a property agreement made by the spouses after the date of their marriage; this agreement concerns the character of property then existing or to be acquired during the marriage. For example, the spouses may agree that the income or property arising from their respective separate property, or separate property subsequently acquired, will be the separate property of the owner. In the absence of a property agreement providing to the contrary, income from a spouse’s separate property is ordinarily community property. A postnuptial agreement must also be in writing, signed by the parties, and entered into voluntarily. 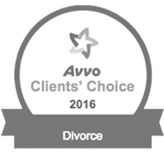 Agreement incident to divorce: This is an agreement whereby the parties agree on how to divide their property upon divorce rather than leaving the decision to the court. By definition, family law matters involve the highest stakes–your children, property, and future. 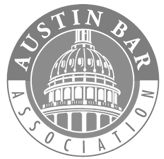 Hiring a capable and aggressive Austin family law attorney is critical to protecting these interests. My credentials and experience speak for themselves. So do my former clients. My firm is a full service family law practice serving clients throughout Central Texas, including Austin, Travis County, Williamson County, and Hays County. 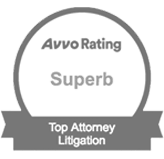 Call 512.320.9126 to speak with an experienced Austin Family Law Attorney.